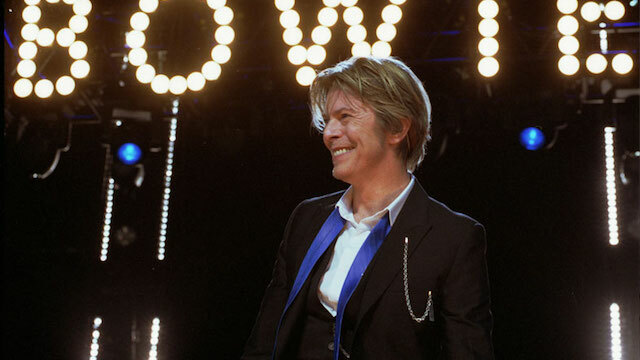 Fans, friends and peers were heartbroken by the news that David Bowie passed away on January 10th after a long and largely private battle with cancer. Tributes starting flooding my timeline on Monday morning via every form of social media imaginable, and most of them mentioned his penchant for defying genre limitations, reinventing himself over and over again from one decade to the next. I took a little time to ponder how true that is, given that I lived through every decade of his popularity from the 1970's until now, and in particular thought of how he seemed to transcend pop music into film stardom via roles like Jareth in Labyrinth. It was a box office flop at the time, but reportedly did very well on home video (VHS at the time, DVD and Blu-Ray in more recent years). To me it was an audio visual feast that deserves to be watched again - but it doesn't trump the fact that Bowie made an even bigger impact on me through SAMPLING. I'm not talking about the obvious "Under Pressure" loop that Queen and David Bowie sued (and ultimately settled with) Vanilla Ice for. I'm talking about the far reaching presence Bowie had in music from chopping up his pop hits to make it into new songs in and outside hip-hop. I'd like to share with you a few examples of what I personally believe are the best David Bowie samples of all time. If you agree, disagree or feel that I've left some important examples off the list send in your feedback and I'll do a follow-up article next week. A special thanks to WhoSampled for helping me confirm all of the breaks and loops that were used. * EPMD - "It Wasn't Me, It Was the Fame"
Sample: David Bowie - "Fame"
* Saigon - "Breathe Through the Years"
Sample: David Bowie - "Bring Me the Disco King"
* Puff Daddy f/ Ma$e, The Notorious B.I.G. - "Been Around the World"
Sample: Davie Bowie - "Let's Dance"
* Death Grips - "Culture Shock"
Sample: Davie Bowie - "The Supermen (Alternative)"
* Ultramagnetic M.C. 's - "Break North"
* El-P - "Innocent Leader"
Sample: David Bowie - "Soul Love"
* House of Pain - "Shamrocks and Shenanigans (Famous Mix)"
* Collie Buddz - "My Everything"
Sample: David Bowie - "Let's Dance"
* The Chemical Brothers - "Star Guitar"
Sample: David Bowie - "Starman"
* David Guetta - "Just For One Day (Heroes)"
Sample: David Bowie - "Heroes"